Artist's impression available, see Notes to Editors. 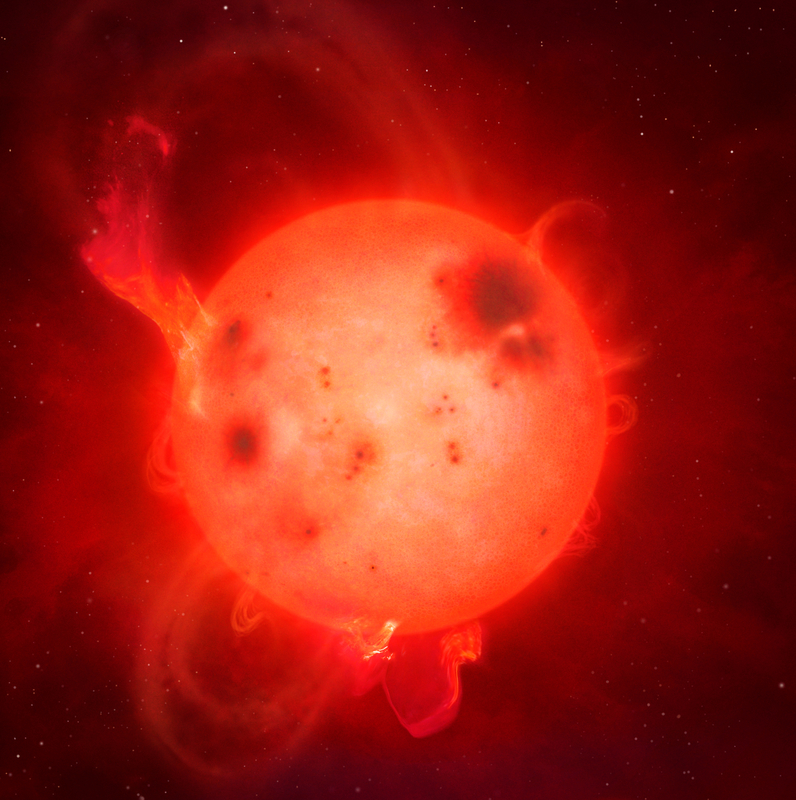 Lead author James Jackman, a PhD student in the University of Warwick's Department of Physics, said: "The activity of low mass stars decreases as you go to lower and lower masses and we expect the chromosphere (a region of the star which support flares) to get cooler or weaker. The fact that we've observed this incredibly low mass star, where the chromosphere should be almost at its weakest, but we have a white-light flare occurring shows that strong magnetic activity can still persist down to this level. James adds: "We knew from other surveys that this kind of star was there and we knew from previous work that these kinds of stars can show incredible flares. However, the quiescent star was too faint for our telescopes to see normally - we wouldn't receive enough light for the star to appear above the background from the sky. Only when it flared did it become bright enough for us to detect it with our telescopes." James's PhD supervisor Professor Peter Wheatley said: "Our twelve NGTS telescopes are normally used to search for planets around bright stars, so it is exciting to find that we can also use them to find giant explosions on tiny, faint stars. It is particularly pleasing that detecting these flares may help us to understand the origin of life on planets." The Science and Technology Facilities Council is part of UK Research and Innovation - a new body which works in partnership with universities, research organisations, businesses, charities, and government to create the best possible environment for research and innovation to flourish. STFC funds and supports research in particle and nuclear physics, astronomy, gravitational research and astrophysics, and space science and also operates a network of five national laboratories. We aim to maximise the contribution of each of our component parts, working individually and collectively. We work with our many partners to benefit everyone through knowledge, talent and ideas. Visit stfc.ukri.org for more information. Astronomers uncovered a moon orbiting the third largest dwarf planet, 2007 OR10, in the frigid outskirts of our solar system called the Kuiper Belt. An international team of astronomers has identified a record breaking brown dwarf (a star too small for nuclear fusion) with the 'purest' composition and the highest mass yet known. Many scientists believe the Earth was initially dry and that water, carbon and nitrogen -- the building blocks for life -- likely came as a result of collisions with objects that began their lives in the cold outer reaches of our solar system. For the first time, scientists using NASA's Hubble Space Telescope have witnessed a massive object with the makeup of a comet being ripped apart and scattered in the atmosphere of a white dwarf, the burned-out remains of a compact star. An exotic binary star system 380 light-years away has been identified as an elusive white dwarf pulsar -- the first of its kind ever to be discovered in the universe -- thanks to research by the University of Warwick. The Magellanic Clouds, the two largest satellite galaxies of the Milky Way, appear to be connected by a bridge stretching across 43,000 light years, according to an international team of astronomers led by researchers from the University of Cambridge.